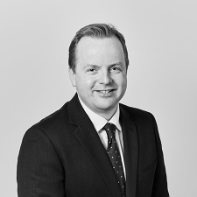 Simon Bickler QC led James Lake as part of the defence team in the first prosecution by HMRC in relation to the new ‘film tax credit’ scheme. This case was the first prosecution by HMRC in relation to the new ‘film tax credit’ scheme. Instructed by Cohen Cramer of Leeds, Simon Bickler QC and James Lake continue to represent the film maker in relation to fraud allegations relating to the feature film Eldorado. The case concerned Film Tax Credit relief and resulted in a defeat for HMRC as the Jury acquitted the Defendant. The Defence successfully argued that they had merely taken advantage of a tax loophole created by the Finance Act 2006 and the Corporation Tax Act 2009. Dennis Healey once said that the difference between tax avoidance and tax evasion is the width of a prison cell. The case of R v Driscoll certainly pushed the boundaries of tax avoidance to breaking point. The relief is calculated upon the cost of actually producing the film. Connected companies were able to transact so long as they operated at “ arm’s length” and charged each other open market value. Since being involved in this trial, we heard news of five people being charged in connection with another film industry tax relief fraud which, according to the Crown Prosecution Service, cost the public purse around £125 million. The group allegedly abused a tax relief that allows investors in the British film industry to offset losses against other tax liabilities in order to cheat the public revenue. A claim for film tax credit was submitted to HMRC for £1.7 million. This was based on a total film budget cost of £11million and a total core production cost of £9 million. The Prosecution [HMRC] alleged that the film cost significantly less than £9 million to make, that the costs had been grossly inflated and that a fraud had been committed. The Defence conceded that the claim was far greater than the actual costs, mainly because Mr Driscoll owned his own studio and so was able to produce films for less money. The film actually cost approximately £1.5 million to make. However the Defence argued that it could legitimately submit a Film Tax Credit claim based on “open market value” rather than the actual cost. He used a series of connected company transactions to inflate the costs. This is best illustrated with three examples. Eldorado was the first British made film in 3D. Richard Driscoll outsourced the majority of the work to a company in Bulgaria who undertook the CGI for £35,000; a fraction of the cost had it been done in the UK. The CGI work was then ‘finished off’ at the studios in Cornwall getting round the issue of where the costs had been ‘used and consumed’. Mr Driscoll’s own company then charged the Special Purpose Vehicle production company, who would ultimately make the clam for FTC, a fee of approximately £1 million. To the Prosecution this looked like a grossly inflated charge and a fraud. However during the Defence case we introduced evidence from an expert witness to show that the CGI price charged to the production company was in fact “ the going rate” had it been sourced, in the UK. Caught unaware, the prosecution called their own expert . However, the Prosecution expert in cross examination conceded that the fee charged was actually below the market rate. Driscoll had his own fully functional studio with green screen facilities. Driscoll therefore charged the production company for hire of the studios a fee of around £1million. It, of course, cost Driscoll next to nothing, as he owned the studio. Again it was argued by the Defence that the fee of £1million was comparable with market rate within the UK. The Defence called evidence to show that had the production company used Elstree Studios it would have cost almost £2 million. Driscoll had “ connections” and was owed favours by the stars’ agents. Therefore, he was able to secure their services for a heavily discounted rate. By using “connected companies” a significant mark-up was charged to the SPV Production Company, who then submitted the costs as part of the Film Tax Credit claim. Expert evidence as to the cost of securing talent was again employed successfully. The Revenue found it difficult to deal with the Defence interpretation of the legislative framework. The head of the Film Tax Unit in Manchester gave evidence. During cross-examination it became apparent that the unit was hugely under-sourced and the team that dealt with multi-million pound tax relief claims [ £800 million a year] was staffed by only three people. The Revenue conceded that the legislation and their own guidance, allowed claims to be made based on costs generated between connected companies, so long as the costs were referable to market value. As the trial unfolded the Prosecution case, based on an FTC claim that had looked hugely inflated and dishonest at the outset, began to unravel. Notwithstanding that the Jury convicted Mr Driscoll of a separate VAT fraud, the not guilty verdict on the allegation of Film Tax Credit fraud was an unwelcome reality check for the Revenue. Driscoll was represented by Simon Bickler QC, leading James Lake and instructed by Cohen Cramer and Co.